Previous message: [obspy-users] non-blocking Trace/Stream.plot() ? install anything else, just this one application. compile it for two architectures. 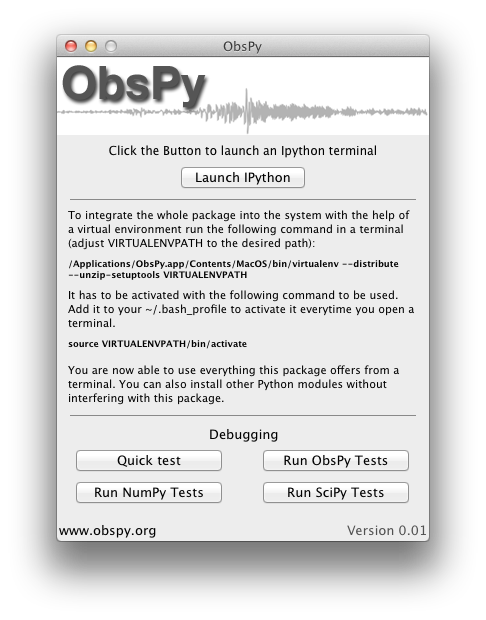 working IPython console with NumPy/SciPy/matplotlib/ObsPy/... (See the attached screenshot). to test it). You have to reinstall ipython in the virtual environment (pip install ipython). image and drag the icon from the left to the right. very nice, easy and as far as I can tell just works out of the box with no hassles at all. be interested in using it so I'll keep working on it.